Offering migrants and refugees truly helpful and loving hospitality is the greatest guarantee against terrorism, Pope Francis said. The current refugee and migration crisis, with more than 65 million people forcibly displaced from their homes, has become "the greatest humanitarian crisis after the Second World War," he said. "At this place and time in history, there is great need for men and women who hear the cry of the poor and respond with mercy and generosity," he told graduates of Jesuit schools and universities during an audience at the Vatican Sept. 17. The alumni are members of the World Union and the European Confederation of Jesuit Alumni; they were in Rome taking part in a conference on the migration and refugee crisis. 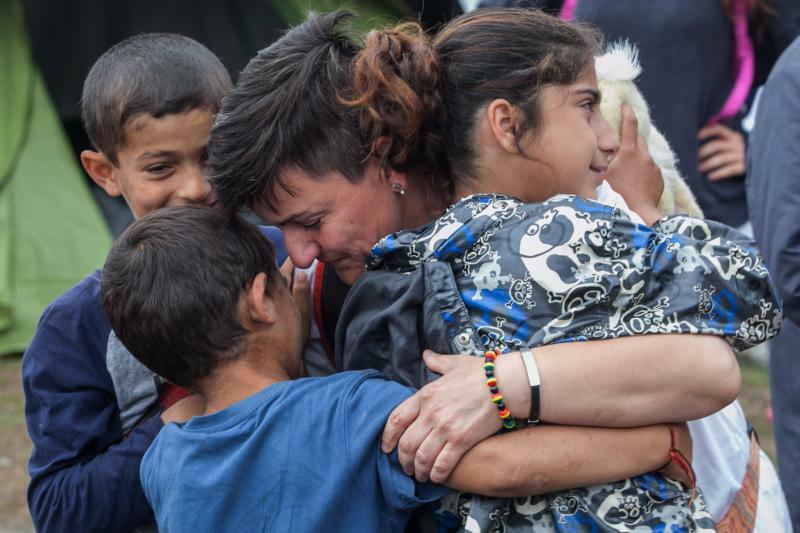 The pope told them that with their Jesuit education and understanding of Gospel values, they can help the church "respond more fully to the human tragedy of refugees through acts of mercy that promote their integration into the European context and beyond." "I encourage you to welcome refugees into your homes and communities, so that their first experience of Europe is not the traumatic experience of sleeping cold on the streets, but one of warm human welcome," he said. "Remember that authentic hospitality is a profound Gospel value that nurtures love and is our greatest security against hateful acts of terrorism," he added. Too many refugee children and young people lack access to education, he said, urging the alumni to work with the Jesuit Refugee Service and "put your mercy in motion" to help "build a stronger Europe and a brighter future for refugees." He told his audience to remember they were not alone as many church organizations and individuals were also dedicated to helping the marginalized and excluded. "Remember that the love of God accompanies you in this work. You are God's eyes, mouth, hands and heart in this world." "I urge you to help transform your communities into places of welcome where all God's children have the opportunity not simply to survive, but to grow, flourish and bear fruit," he said.